Domestic chickens are an essential part of the agriculture and food production in America. 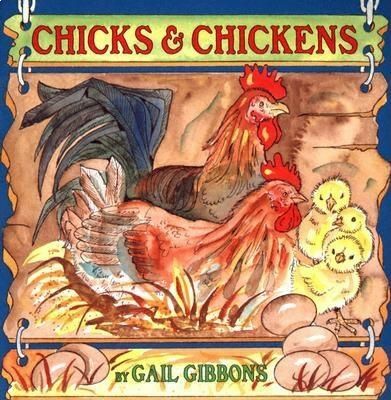 Gibbons takes a look at how chicken eggs are developed for human consumption and at how fertilized eggs develop into embryos and finally into fuzzy little baby chicks. The behaviour of chicks, hens, and roosters is discussed, and descriptions of the different breeds of chickens across America are provided. Once again Gibbons provides a colourful, accessible account of this familiar, domesticated bird.